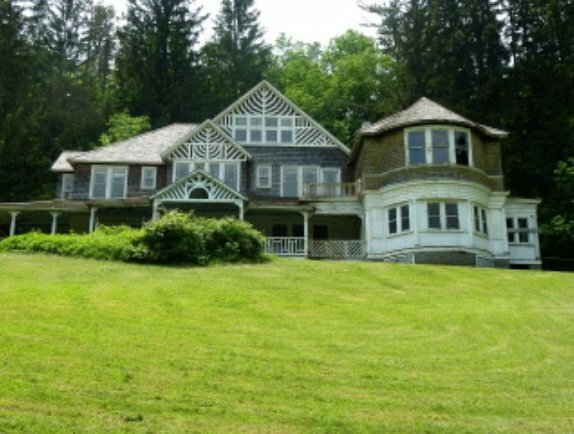 8,000 square feet of living space on 18 acres in the Catskills for $499,000.Some of the nation’s grandest homes sell for surprisingly little. In many cases, homeowners are unable to care for large homes so the structures fall into disrepair; other times the financial stress of ownership results in foreclosures and short sales. Then there’s always the location—areas with depressed housing markets often have stately, well-maintained homes for a lot less than you’d imagine. “Even when estates are priced in the millions, they can be a relative bargain given their size, amenities and architectural significance,” says Richard Thompson, National Vice President of Sales at United Country Real Estate. Thompson himself has seen sizable Victorian homes go for $40,000. And full castles built by Civil War officers sell for a mere $400,000. “Old river towns often have illustrious homes built during a period of brief prosperity that cost very little now,” Thompson adds. One of the most intriguing lots-for-little examples is pictured at the top: a grand old manse nestled in Fleischmanns, N.Y., in the Catskill Mountains of New York. Though much of the residence has fallen into disrepair, it offers more than 8,000 square feet of living space and elaborate architectural detail. Hand-painted murals grace wood-paneled walls. Turned banisters and gorgeous millwork are everywhere as well as stately fireplaces throughout. And many of the 10 bedrooms in the house have views of a pond that’s fed by a mountain spring. The house sits in a clearing on 18 acres of mountainside woods. Upon arrival, visitors encounter the covered carriage entrance and view the home’s extensive wrap-around porch. Columns, curved windows, and surrounding ornamental gardens complete with a gazebo and statuary conjure the romance and prosperity of another era. An attractive, shingled ice house with a cupola sits behind the house. All this can be had for $499,000. Ofcourse, a fixer-upper of such magnitude is not for everyone. “Buyers often watch movies and get unrealistic ideas about what it’s really like to take on a huge old house for renovation,” says Thompson. For the less-than-handy, it’s best to go with a house that doesn’t need work. 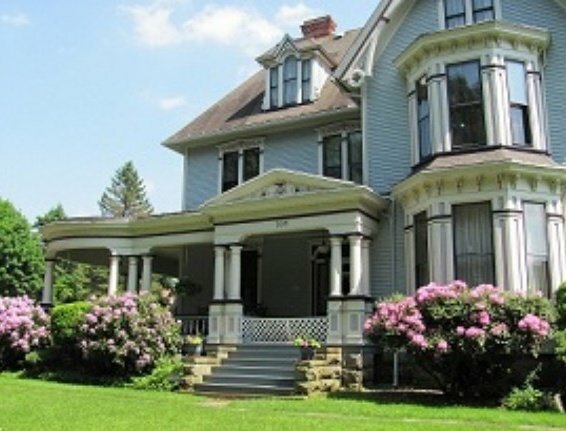 One such example is the five-bedroom Victorian pictured above inOil City, Pennsylvania, on the market for $280,000. Beautifully restored and maintained, it is distinguished by its sitting porch and surrounding country gardens. Measuring in at just over 4,000 square feet, the house offers five bedrooms and 4.5 bathrooms. A huge entryway and gorgeous staircase set the tone for the rest of the home, which includes polished hardwood floors, original moldings and millwork, and high ceilings. The exterior features columns, Victorian fretwork, and shingling, all of which has been carefully restored. The home is a remnant of Oil City’s rise to prominence during the 1850s when it became the headquarters for Pennzoil, Quaker State and Wolf’s Head motor oil companies. For buyers willing to spend more, entire estates can be bought. In Mount Dora, Florida, for example, one can buy this illustrious Mediterranean lake-front villa on 10 acres for only $2 million—not much considering that it offers 18,000 square feet of living space made up of 41 rooms. 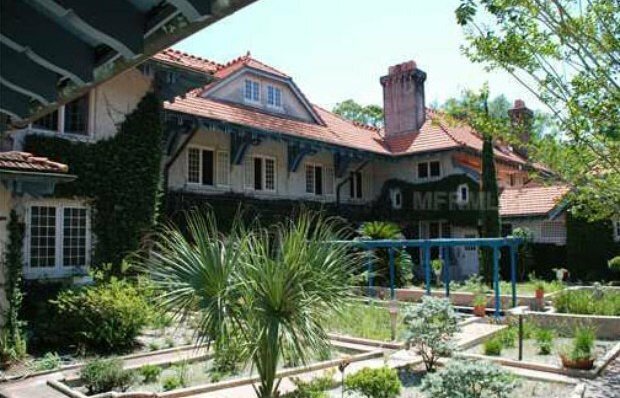 The home was built in 1904 and includes 13 bedrooms, nine bathrooms and 13 fireplaces. All of the original windows and millwork have been restored and preserved. Plus, there’s an indoor pool and the home is surrounded by formal gardens. In addition, there’s a workshop with an apartment above, and a boathouse that needs work. What makes the property a real find, though, is its history. It was designed by Pittsburgh architect Edgar Vigners Seeler for James Laughlin Jr., the head of the J&L Steel Company. In 2006, the Florida Trust for Historical Preservation presented the estate with a Florida Preservation Award. An added bonus to an already sweet deal. 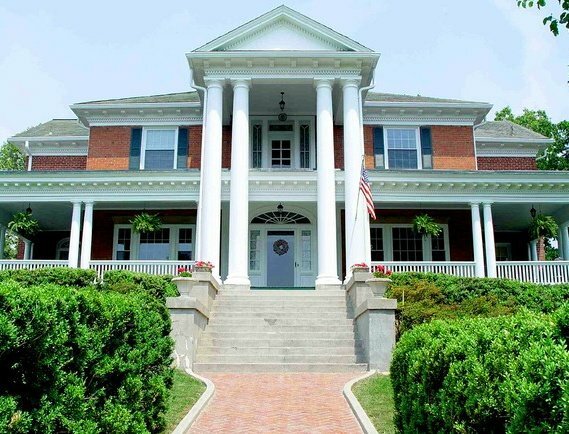 Situated on nearly 3 acres in Clifton Forge, Virginia, this 24-room Greek Revival estate has been completely refurbished. The 5,800-square-foot, $499,000 house commands an exceptional view of the town and the surrounding Allegheny Mountains. The property includes an in-ground pool, formal gardens, and charming playhouse. There are seven large bedrooms, including two master suites, and six bathrooms. Crystal chandeliers, oak floors, brand-new kitchen with granite countertops, two fireplaces, and solid masonry are among its other features. There is also a huge front porch with views. 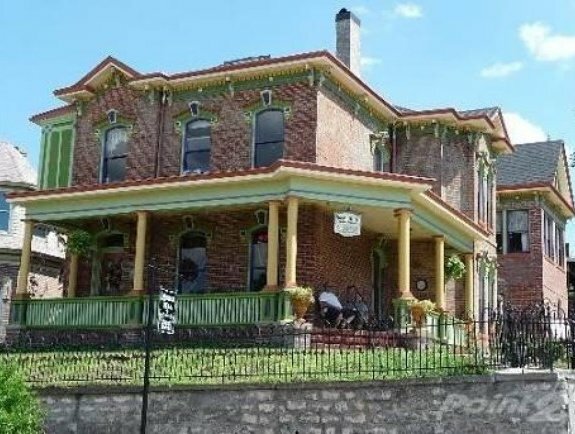 Situated in a quiet historical district of St. Joseph, Missouri, this brick Italianate mansion at 1102 Felix Street is an architectural gem at just $199,900. The 5,000-square-foot home overlooks the town green. The house, which features a gorgeous verandah and Victorian fretwork, has been used as a B&B. Among its features are gorgeous wood floors, period-preserved millwork and a gracious bannister. The house has four themed guest rooms, a library, guest kitchen, great room, dining room, kitchen with butler's pantry, six bathrooms and more. Potential short sale, subject to lender approval. P.S. If you are really tired like me of big companies that are messing up people lives,then I can show a solution that has helped me. P.S.S. Learn how this system changed my life and got me out of my job.Click the the green picture in the upper side to find out more.